NKU senior Courtney Roush (12) was named Horizon League player of the week by the conference, becoming the first NKU women’s player to receive the honor. Three NKU basketball players were named players of the week in the last seven days. 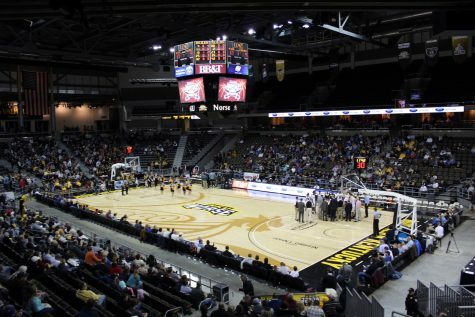 The NKU women’s basketball team picked up key road victories while the men had their return home spoiled by Oakland on Monday. 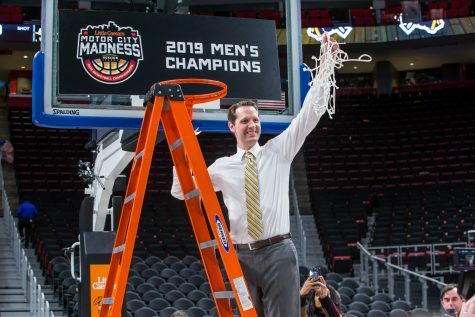 Here are the headlines from the last week of NKU athletics, presented in hashtag form. Share your favorite story of the week with our twitter feed (@northernersport) using the hashtag headline. NKU junior Cole Murray was honored by the Horizon League as men’s basketball player of the week. He is the first-ever NKU men’s player to earn the honor from the league. Murray had 25 points Friday in the Norse’s 91-83 victory over Detroit. He made 9 of 14 shots from the floor, including 7 of 10 from three-point range. In his three games prior to Monday’s showdown with Oakland, Murray had made 14 of 19 from three-point range. Twin sisters Courtney and Christine Roush both earned awards in a week their family won’t soon forget. Courtney was honored as Horizon League player of the week by the conference last week. She averaged 21 points per game, including a career-high 22-point performance against Cleveland State. 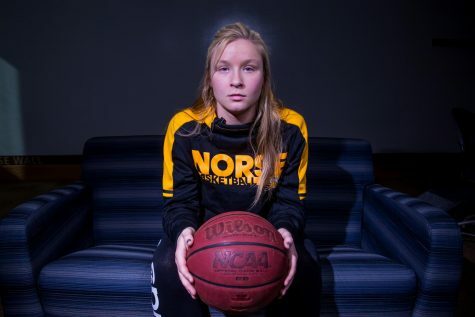 She is the first NKU women’s basketball player to earn the honor from the conference. Not to be outdone, sister Christine earned Horizon League player of the week honors from the website College Sports Madness. She averaged 19.5 points per game last week, including 26 against Cleveland State on a night when she and her sister missed outscoring the Vikings by three points. This hashtag could refer to the fact that University of Cincinnati basketball legend Oscar Robertson graced BB&T Arena with his presence during Monday’s game against Oakland. Instead, the big O refers to the powerful Oakland Grizzlies, who avenged an earlier loss to the Norse Monday with an 85-74 victory. Oakland’s Kay Felder, who was Horizon League preseason player of the year, led the Grizzlies with 24 points. Drew McDonald led NKU with a career-high 23 points. The Grizzlies focused on Horizon League player of the week Murray, holding him to just two shot attempts and six points. The Norse return to action 7 p.m. Thursday at BB&T Arena against Green Bay. 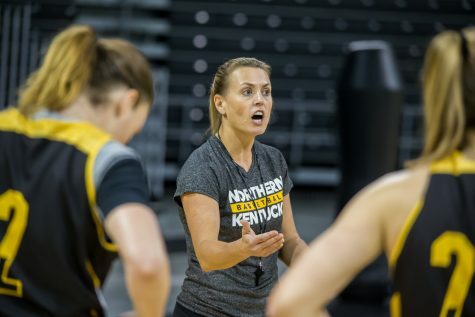 The NKU women’s basketball team set the nets on fire Saturday, shooting 58 percent in an 88-77 victory over Youngstown State. NKU has won its first two games of a four-game road trip. Five different Norse players scored in double figures, led by Courtney Roush with 20 points. Shar’Rae Davis added 16 points. Kasey Uetrecht had 14 points, Christine Roush had 13 points while Sarah Kinch added 11 points. 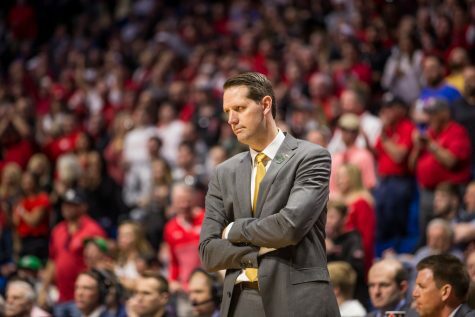 Northern Kentucky made 29 of its 50 shots, while holding the Penguins to just 29 of 72 shooting. NKU shot over 60 percent in the second and third quarters combined. 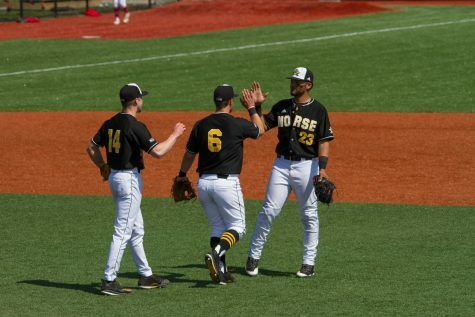 NKU plays the third game of the four-game trip 8 p.m. Thursday at Illinois-Chicago. 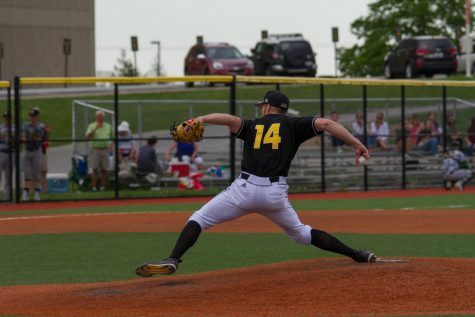 With college baseball season fast approaching, one NKU player was selected for an all-conference team. Trey Ganns, infielder and pitcher, was selected by the website College Sports Madness to the second team, all-Horizon League preseason team. During his freshman season last year, he hit .296 with 25 runs batted in. He had a team-high .432 slugging percentage according to NKU Athletics. 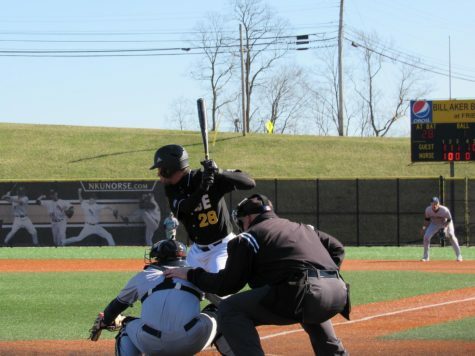 NKU baseball opens its season Feb. 19 with a four-game series at Troy. 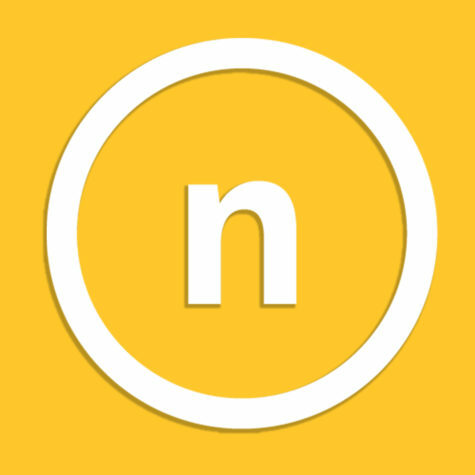 The Northerner will have a preview of the upcoming season in the coming days. Four fall sports athletes were selected by the Horizon League for the all-academic team. In volleyball, Mel Stewart and Taylor Snyder were selected on the all-academic team for volleyball. Stewart finished her volleyball career this past season with 1,504 digs, which places her fifth on the all-time list at NKU. 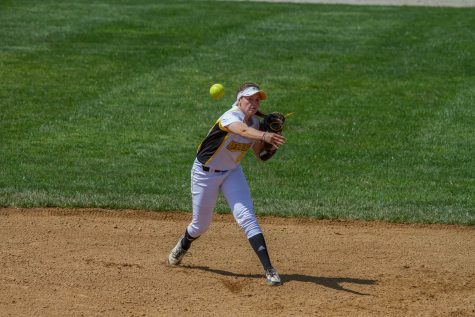 She has a 3.973 GPA as an athletic training major, according to NKU Athletics. Snyder was fourth in the Horizon League in assists per game with 10.8. She is a junior and has a 3.907 GPA as a finance and accounting double-major. In men’s soccer, Yaw Addai and Diego Martinez were named to the Horizon League all-academic team. Addai has a 3.21 GPA and started all 19 matches for the Norse in 2015. Martinez has a 3.79 GPA majoring in sports business. He started 17 of 18 matches he played for the Norse during his sophomore season.